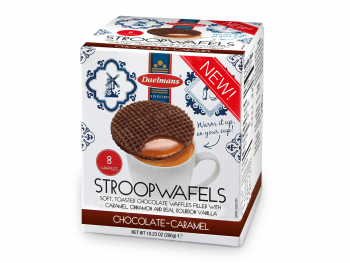 You can now safely enjoy a stroopwafel without gluten! 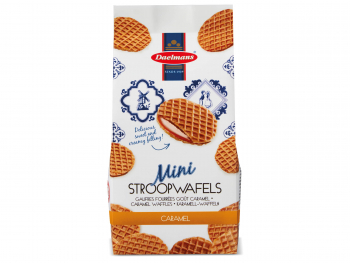 Our gluten-free stroopwafels also do not contain any lactose. 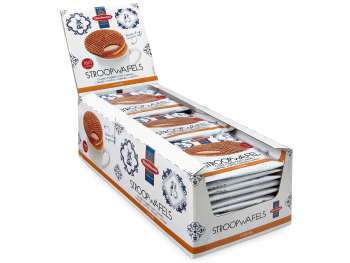 A clip bag contains 8 gluten free stroopwafels and a case contains 8 clip bags. Every gluten free stroopwafel has a diameter of 8 cm. 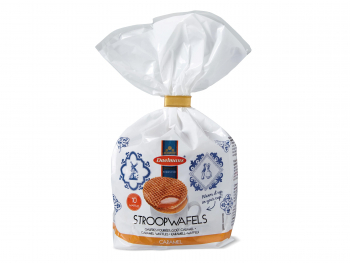 Storage advice: you can freeze our gluten free stroopwafels. This way, the quality and freshness stay optimal for a longer period of time. Cane sugar*, margarine* (vegetable unhydragenated palm and cocos fat, vegetable sunflower oil, water, antioxidant: citric acid, sunflower lecithine), rice flour*, potato starch*, glucose syrup*, invert sugar*, lupin flour*, cornstarch*, egg white powder*, egg*, cinnamon*, thickener: guar gum*, salt, raising agent: sodium carbonates. 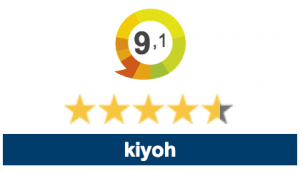 – Of which saturated: 8.4 gr. – Of which sugars: 43 gr.